In a world of inexpensive apps, where school children learn Google Docs rather than Microsoft Word or even 365 Office, Microsoft realizes that perhaps it’s time to expand its platform and data applications. And talent acquisition is it. In recruiting, we realized this the moment the software giant purchased LinkedIn for over $26 billion dollars, in the largest purchase the Redmond-based behemoth has ever made. Create an integrated talent management platform. Matt Charney posited that they could platform could offer advanced analytics capabilities which go a long way in making the life of HR professionals easy. Charney suggested that Yammer, Sharepoint, LinkedIn and Excel could all make recruiting and HR analytics play very nicely together and create an end-to-end source of truth using tools that many HR and Recruiting professionals use every day. And he wasn’t the only one. Pretty much everyone is anticipating that the search and advertising ramifications are pretty much a given. Ginny Marvin, writing for MarketingLand, laid out some additional predictions, which included more refined targeting for B2B advertisers and more reach with the addition of the LinkedIn universe of 433 million users. Microsoft outlined a vision for an Intelligent Newsfeed as a “new daily habit” in the acquisition deck — a newsfeed that will unify data “for every professional to stay connected with the happenings in their network, industry and profession.” This could allow professionals to connect with other professionals, both inside their companies and outside, increasing talent mobility and impacting an imminent contingent workforce. The Microsoft acquisition of LinkedIn creates a massive void in the space, particularly for social search engines. 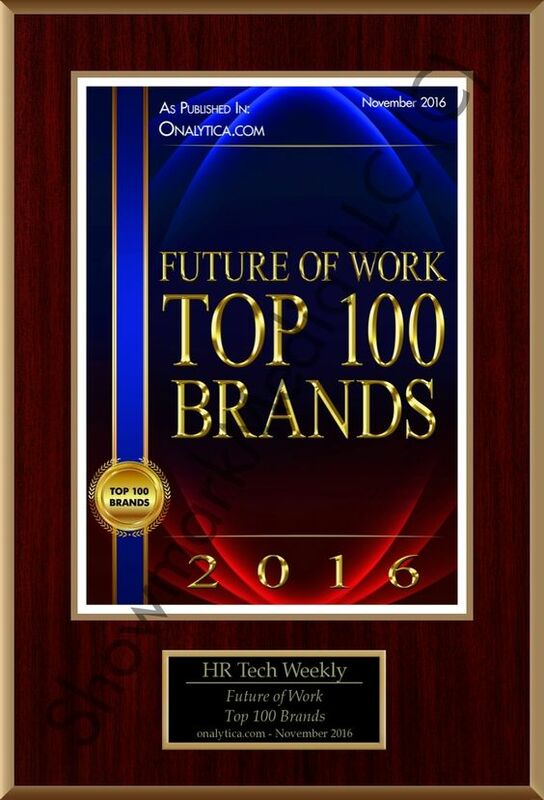 This is my own prediction, from The HR Tech Weekly®, and so far, we’re not seeing it come true… just yet. However, there was and continues to be a flurry of investment and M&A activity within the space, with no slowdown in immediate site. It could be that the rest of the world is sitting up and taking notice that a massive player doubled down on talent acquisition technology. Many of our predictions will need years, not weeks to come to fruition, but the aftermath in the talent acquisition markets is clear. Our own ecosystem, which tracks the movement of talent acquisition technologies through the Source, Engage and Hire stages, will see LinkedIn moved from the social network and candidate focused quadrant (where it currently sits) into some hybrid of the job board and social search engine area (where many of its predicted successors sit). What’s plain to me is that the aftermath of the LinkedIn acquisition for LinkedIn seems firmly rooted in talent management while the aftermath for recruiters and those who work in talent acquisition will be the rapid movement of social search engines jockeying for position to take its place. Brian Delle Donne, President of Talent Tech Labs, the only hyper-focused incubator and accelerator program focused exclusively on talent acquisition technology. Talent Tech Labs is seen as a thought leader in all aspects of the talent acquisition technology ecosystem and have extensive relations with all the emerging companies servicing this dynamic market. Today the company has additional investors but continues its tight vertical focus on the talent acquisition process; from recruitment, candidate engagement up until hiring. In addition to accelerating the startups TTL enrolls, the company has become the “go to” source of data and analysis on all the developments in the talent acquisition technology space. If you want to share this article the reference to Brian Delle Donne and and The HR Tech Weekly® blog is obligatory. blog is obligatory. While the rest of the world is trying to uncover the secret motive of Satya Nadella, the current CEO of Microsoft, or figure out when and how Microsoft will begin diving into the sweet, sweet pool of data LinkedIn brings to the table, the talent acquisition world has a decidedly different view on the acquisition. While the numbers in that statement are staggering, it’s the underlying reasoning that’s being missed. Microsoft purchased LinkedIn precisely because it wants to nurture profitable commercial software franchising and Nadella sees talent acquisition behemoth LinkedIn as the perfect way to do that. In a world of inexpensive apps, where school children learn Google Docs rather than Microsoft Word or even 365 Office, Microsoft realizes that perhaps it’s time to expand its platform and data applications. And talent acquisition is it. While critics point to Microsoft acquisition failures like Nokia and Yammer, neither one of those companies open up the ability for increased ad revenue, user interaction data or video conferencing abilities. The Microsoft acquisition of LinkedIn creates a massive void in the space, particularly for social search engines. Those who were willing to pay $8000 or more for a seat on LinkedIn Recruiter will now have to decide if they want to re-up those contracts as Microsoft takes over (and potentially uses the data for its own purposes). Companies like Entelo, HiringSolved and Jibe will all be vying for leadership roles now that the big fish is gone. This climate will be similar to the SAP/SuccessFactors/Jobs2Web dust up that happened in 2011 in terms of deal structure and market movement. Who will be first? Those that have amassed sufficient scale already, will either find themselves being sought by acquirers who could find accretive value leveraging their profiles and user engagement. Taking out number one creates an opening for their successor. Of course, once a successor moves up to take the place of LinkedIn, then there are accompanying moves all the way down the chain. George Laroque wrote recently about how much the middle market stands to gain from this merger. But what about the mid market vendors? If they’re not snapped up by a larger vendor in the way LinkedIn was, they could move into the void where LinkedIn once stood (so long as they are also not entirely dependent on LinkedIn data to survive). The rest? Well, they might vie for sloppy seconds, or fade away. In their place, will be the social search engines that are leaving incubators, trying to secure funding or maybe just an algorithm in a college student’s head. Social search startups which relied on scraping LinkedIn profiles, or accessed them within the permitted use guidelines were always in peril of LinkedIn altering the access it allowed. These startups’ business models could be easily upended with any action LinkedIn might take. As LinkedIn effectively delists and begins to run inside Microsoft, absent the public equities markets’ scrutiny, we’ll have to see if they will become more or less permissive of third parties plying its data. One viable alternative, Connectifier, was getting more attention from social sites seeking profiles, that is until LinkedIn took them out. If the Microsoft integration causes LinkedIn’s attention to turn to enabling higher value synergies in the Microsoft combination, perhaps more breathing room might be afforded the social search tools that rely on available profiles. The acquisition is indicative of the current importance of the talent management space. Fully one third of LinkedIn’s revenue come from Talent Solutions. This plays extremely well with Microsoft’s vision of expanding collaboration, not only within the walls of a company network but the entire professional cloud. Microsoft is uniquely positioned to capitalize on this deal’s synergies, but it augurs well for the still emerging talent acquisition/management space that Microsoft decided to double down on a talent acquisition platform like LinkedIn. 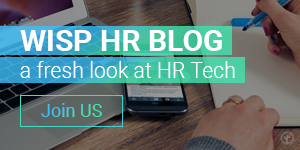 If you want to share this article the reference to Brian Delle Donne and The HR Tech Weekly ® blog is obligatory.